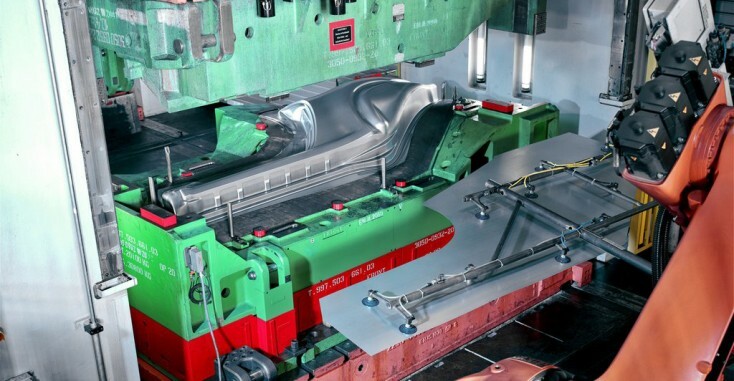 Like almost no other technology, forming machine tools combine great forces with high speeds and precise movements, with hydraulics often playing an important role. As one of the largest end users, the automotive industry is developing components with ever more complex shapes. This requires consistently high performance which can only be delivered by machines with perfectly harmonized components, modules and systems. Press applications require control solutions that are easy to operate and to install, and yet reflect the complexity of the technologies used. We have uncoupled the drive technology from the control level: scalable motion controls for anything from one axis to an almost unlimited number of hydraulic and electric drives work with software that takes the special characteristics of fluid technology into account. In our systems, only open interfaces and international programming standards are used. These can be integrated into the most varied automation environments, thereby reducing the number of variants on the manufacturer's side. At the same time, standardized components reduce the complexity in the design and in the assembly work flows, which in turn simplifies the logistics for maintenance and repair. Consistent engineering tools make it easier to implement individual solutions. This increases the flexibility for the user who has to deal with ever shorter project durations and a trend towards higher availability rates. Forming technology is characterized by high acceleration and deceleration forces - therefore, the potential for energy savings is high and increases in proportion with the installed capacity. The recovery of oscillating process energies and the use of sophisticated control strategies can increase energy efficiency significantly. To help meet this goal, Bosch Rexroth offersvariable speed pump drives and start-stop systems. Bosch Rexroth supplies you with the full range of drive & technology for your machines, from the control to the actuator. You can count on our expertise - in development and engineering as well as during start up and later on for service.